There are more things to do in Rome besides seeing the Colosseum or visiting the Vatican. And if you want to have a different experience than just seeing the main attractions, then there are plenty of great experiences. So check out these 10 things to do in Rome that go beyond just the regular tourist attractions. You can learn the art of mosaic making! Located near the Colosseum, there is a historical studio where you can create your own mosaic and take it home with you. The class offers hands-on training and is great for a family or group activity. You can find more info on this class here. These towns in Rome have been abandoned for years. And it’s still unknown as to why some of them were left. The houses are beautiful and covered in ivy. So have an adventure for the day and explore the mysteries of these abandoned places. Take a tour through the historic Roman district of Trastevere. You will experience the district’s most important and secret sights, and at the end of the walk, you will get to enjoy an authentic Italian meal in a beautiful lush garden. Venture into Roman catacombs and learn the stories of the ancients. You will be taken to a few places of interest, such as Basilica San Clemente and the famous Bone Chapel. You then will have the option to enjoy an Italian meal, or continue to explore on your own. Take a local cooking class with a local chef. You can prepare your pasta dough from scratch, and learn how to make many different Italian pasta cuts. Then you can enjoy a wonderful meal afterwards and relax after a few hours of cooking. Skip the line with a laid-back tour of the Vatican museum, including the Sistine Chapel. Enjoy an Italian breakfast before going inside to enjoy many pieces of beautiful historic art and architecture. Take a stroll through the food markets and learn up on the history before you go! It’s a great place to indulge in dishes and there are so many things you can try! 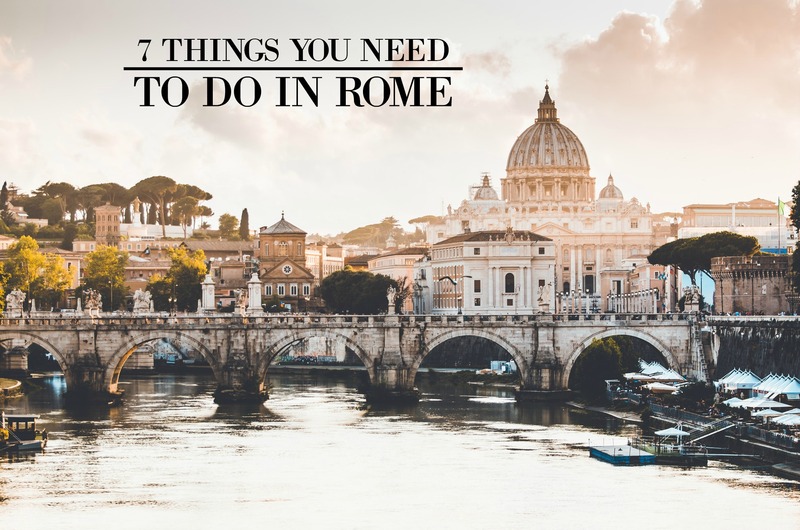 If you’re planning a visit to Rome and want to have some amazing experiences, then definitely try these out and let us know what you think!